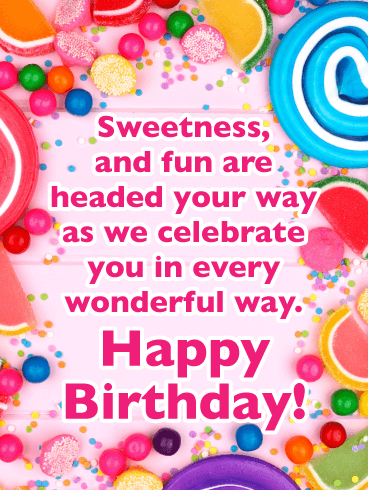 Lots of colorful candies surround a sweet message for someone on their birthday! If you’re looking to make them feel special, send this thoughtful card. Perfect for anyone and any age, it’s a great way to show you’re thinking of a friend or family member as they celebrate. The only thing better than getting a present on your birthday is also getting a birthday card with presents on it! Pop art cards are all the rage nowadays, and this one is a stellar choice. 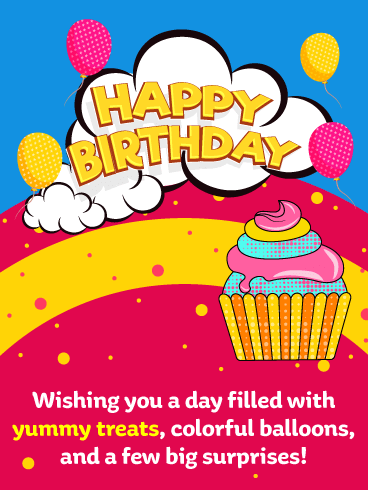 It can be used for any birthday, from a neighbor or family friend, to sibling or cousin. 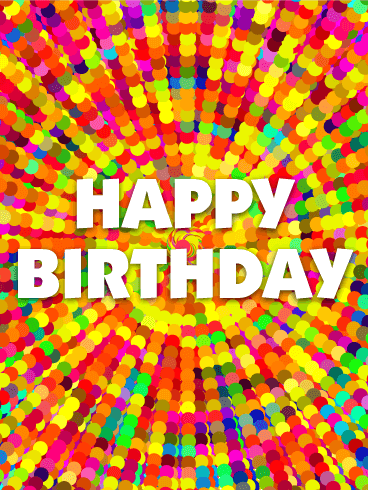 The message is universal and simple, but the bright colors take this birthday card to the next level. It's a great choice for any birthday! 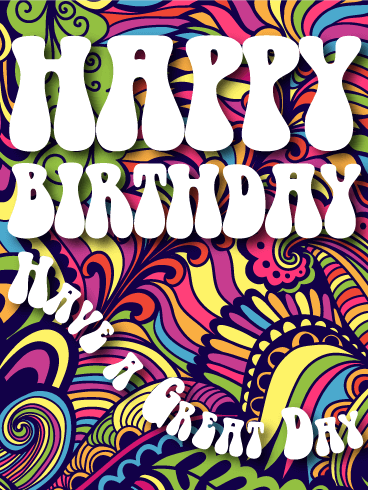 There isn't another birthday card around that's quite as groovy as this one! One look at this birthday card will take the recipient right back to the days of disco clubs and extravagant hair. 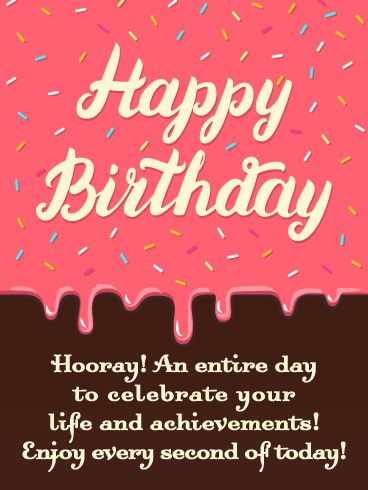 The design is intricate and unique, and the font adds to the fun nature of the birthday card. 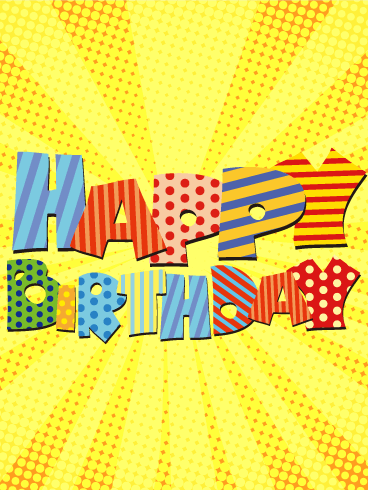 Wishing them a great day beyond just the average "Happy Birthday" is an added bonus, sure to make them smile! Today is your birthday, happy happy birthday, today is your birthday, happy happy hey! 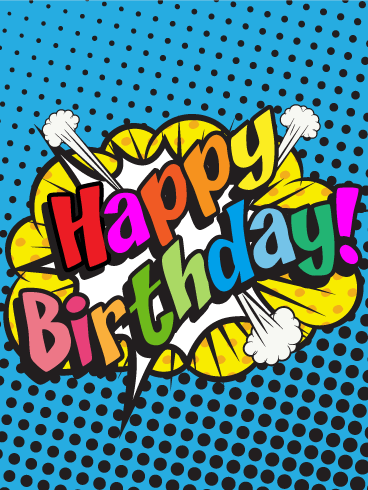 If you have a friend who is full of energy, excitement, and fun, then you have found the perfect Happy Birthday card to send! The bright colors and wild pattern will match your loved one's personality and bring a smile to their face. 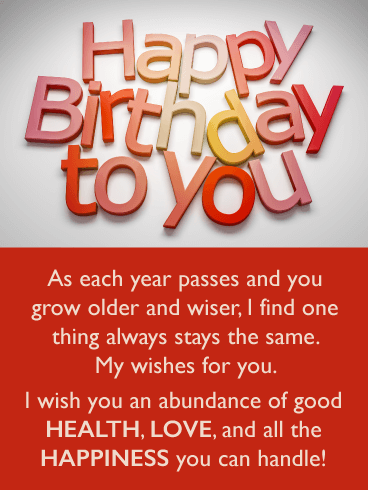 Send this birthday card today! 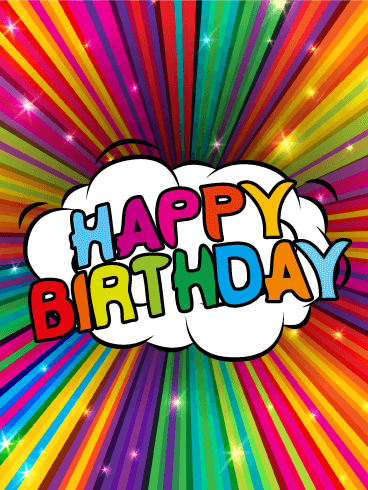 This glitzy birthday card boasts a sparkling rainbow that will mesmerize the receiver with its bold, burst of colors. 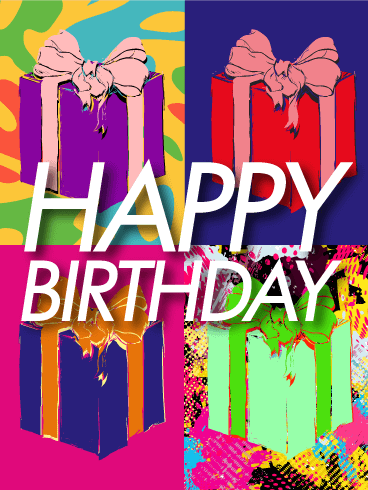 If you want zesty, if you want flashy, if you want to send a birthday card that really rocks - this is for you!